Phew! | So Many Flavors, So Little Time! This has already been quite the weekend and it’s only half over. For starters, I took the Baby to swim class and it went really well. She had a ball and was blowing bubbles like a fool. When class was over, all of the kids got in the big pool, including the Baby, who usually approaches it with great trepidation. She was having fun and decided it was time to get out, so she tried to climb out of the side of the pool, rather than using the ramp or a ladder. Her tiny foot went out from under her and she fell backwards into the pool. I saw this happen and immediately ran to the pool, but her teacher beat me to her and fished her out of the pool. The Baby is fine. She scraped her foot and it bled, but she did not hit her head (thank God) and started blowing bubbles as soon as she was under water. She was scared and her foot was bloody, but she seems to want to go back for tomorrow’s class and her instructor told her how proud she was of her for remembering to blow bubbles. Earlier in the day, the Baby and I finally got the fall crops planted. All of them – broccoli, beans, lettuce, and zucchini, plus dill and basil. The spinach has yet to go in, but that doesn’t get planted until September 1st, so we’ve got a few weeks to get the soil ready. Lots of hard work and the Baby got bored waiting for me to dig the trenches for the seeds because she was all about putting those suckers in the ground, but we got it done, so we should have quite the harvest from September through late October/early November. The weekend started on a not-so-great note. Hubs was let go from the Worst Job in the World, which, while shocking, is a relief because it was just plain awful. He does have a follow-up interview Tuesday for the job he really wants, so, really good things are in store for us, it’s just a matter of timing its arrival just-so. 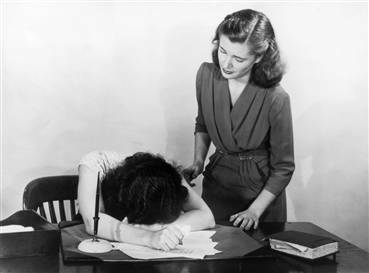 On the agenda for tomorrow – writing a presentation or two, cleaning, and possibly baking muffins for breakfast. I was going to make apple scones, but since I don’t have actual butter, I’m thinking that margarine is not the way to go here, so I’m sticking with what I know – muffins – diet, be damned. Hubs wants to go to the pool, but I think I’ll sit this trip out so I can get stuff done. And, really, now that I think about it, when did I get this adept at multitasking? I would love to be as single-minded as Hubs and the kids and just live in the moment for once instead of worrying about what has to be done and constantly looking ahead so I’m not unpleasantly surprised. Anyone else come to this realization? Here’s a random thought – if you’re part of a couple, have you ever noticed that there seems to be a system of equilibrium involved whenever one partner loses weight? It’s like the universe has designated a certain amount of weight between Hubs and me, so that if I lose weight, he gains, and vice versa. Seriously, why is that?! So tonight, I’m working on a presentation and watching the Olympics (that is when I’m not annoyed by the incessant ringing of Hubs’s cell phone. It’s his friend who is home alone, drunk and bored and quite possibly irritated because he can’t figure out why a married father of two isn’t rushing to take his call at almost 11pm). I just watched Michael Phelps win his first gold medal. Loved the opening ceremonies last night. 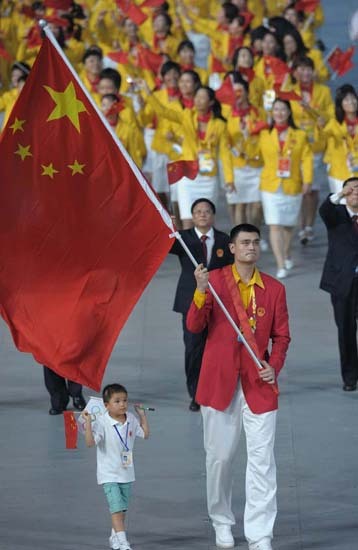 I was so touched by the little guy that marched into the stadium next to Yao Ming (look up the story if you haven’t heard it already. It will be well worth your time!) – what a little hero! And the way they lit the torch was beyond amazing!